We create the greatest and most exciting sound experience for people worldwide – whether at home or out and about; on stage or behind the DJ console; in a museum or in a concert hall. It is our ambition to enable people all around the world to enjoy a unique sound experience. Approximately 2100 Sennheiser employees in 90 countries around the globe work as a team in a constant effort to fulfil this promise. For more than 60 years the name Sennheiser has stood for the highest quality products and customised solutions across all areas of sound recording, transmission and reproduction. As one of the world’s leading providers of integrated solutions for electro-acoustic products, systems and services we constantly set ourselves the challenge of developing creative answers which satisfy the requests and requirements of our customers. 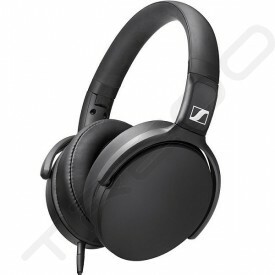 Sennheiser electronic is an international organisation based in Wennebostel (Wedemark), near the German town of Hannover. In 2009 the turnover of the family-owned company was around 390 million euros. The range of products offered includes headphones, microphones, wireless microphone and monitoring systems, conference and information systems as well as aviation and audiology products.